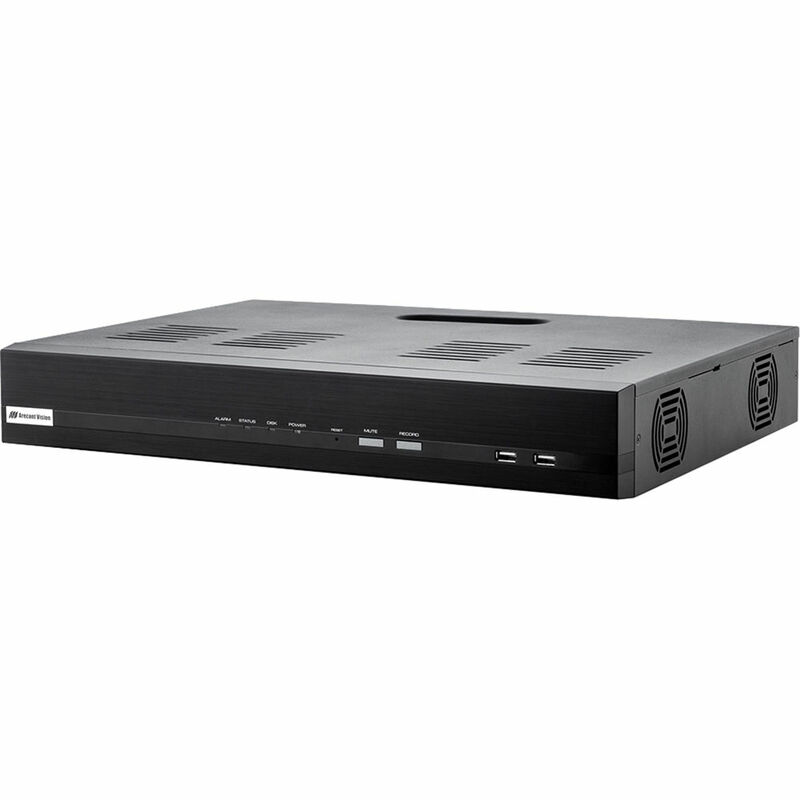 Stream and record from up to eight channels of video with this MegaNVR AV800 NVR from Arecont Vision. It supports up to five channels channels of 10MP at 96 fps or eight channels of 5MP at 192 fps. Equipped with two SATA ports, each of which can accommodate an HDD up to 6TB, this NVR supports up to 12TB of storage (HDDs available separately). External storage options include PCs via internet connection, network servers, and USB storage devices. H.265, H.264, MPEG4, and MJPEG compression help optimize network bandwidth use while ensuring high-quality recording and playback. 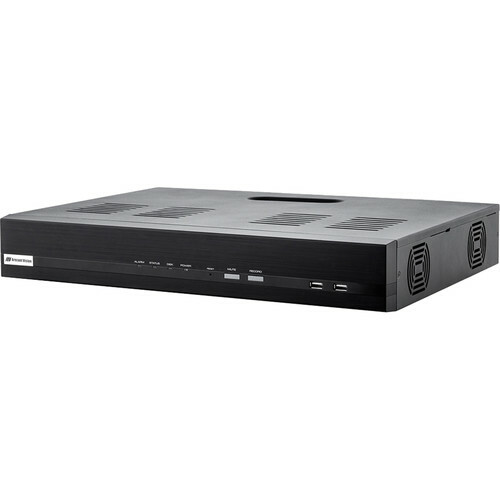 The NVR can play back up to four channels locally and 8 remotely. It can support unlimited remote clients and 128 simultaneous connections. A maximum combined throughput of 320 Mb/s is supported and an HDMI port, VGA port, USB 3.0 port, two USB 2.0 ports, and an RJ45 Ethernet port are built in. Also featured is an integrated 16-channel PoE switch. An audio input and output allow for two-way audio. Storage 2 x 6 TB SATA HDD Capacity, 12 TB Max. Synchronized Playback Local Display: 4 Channels Max. Web Display: 8 Channels Max. Box Dimensions (LxWxH) 21.9 x 17.4 x 6.0"